Ahh, summer. This sunny season usually bears fond memories of long days at the beach, amazing backyard barbeques, and perfectly warm weather. With all the great things summer entails it’s no wonder why it’s a personal favorite among many. However, not everyone is so quick to jump on the summer bandwagon. For many of us, summer means intense sun exposure, dehydration, and painful burns. It may come as no surprise that summertime is the most dangerous time for your skin. With high UV levels and the tendency to expose more skin, the summer is when most people develop skin cancer, severe burns, and even cataracts! Bummer, right? While it may seem like these problems are unavoidable during the hot season, fear not, there are several methods to avoid skin damage and repair areas that have been overexposed. Your skin is your biggest organ and one of the most important, so remaining adamant on proper skin care during long sunny days is crucial for your short and long term health. Follow our tips below and be on your way to enjoying a pain-free summer in minutes! Wear Sunscreen! 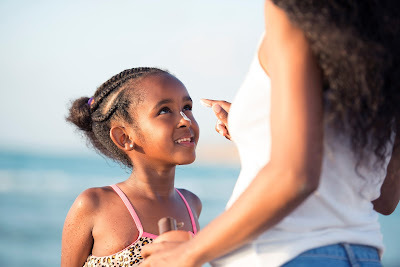 This has probably been drilled into your head since you were a little kid, and rightfully so, as wearing sunscreen is the best way to prevent burns and other sun-related skin damages. It’s important to remember that while we may love being out in the sun and how we look with a golden-brown tan, there are serious health consequences that result from overexposure to the sun. Sunscreen is noted to be the single best way to combat Melanoma, the most dangerous type of skin cancer and the leading cause of death from skin diseases. Melanoma spreads extremely fast and although it is less common than other types of skin cancers, the rate of it is steadily increasing every year. Sunscreen protects your skin from ultraviolet rays (UV rays), as well as similar sunrays like UVA, UVB, and UVC. Try to apply just the right amount of sunscreen before heading out in the sun. As a general rule of thumb, use an ounce (about a handful) to cover your entire body. Pick a sunscreen with an SPF that best suits your skin type: if you have naturally darker skin, opt for SPF 5-15. If you have sensitive or fair skin, go for SPF 30. There are a wide variety of sunscreen types to choose from today. With dry-sprays, to unscented lotions and even water-resistance formulas, finding the perfect sunscreen has never been easier. Applying sunscreen may be an annoying process, but trust us—your skin will thank you later! Drink lots and lots of Water. Dehydration is extremely common in the summertime and can affect everyone, regardless of age, psychical activity, or skin sensitivity. Dehydration is often brought on by feelings of dizziness or fatigue and often prompts diarrhea, vomiting, severe headaches, and fevers. This means that making sure you get enough water throughout the day is vital to your overall wellbeing. 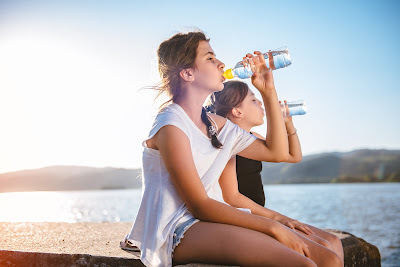 It is key to drink plenty of water before, during, and after long periods of exercise, especially if you are outdoors in the direct sunlight. Try to take a swig of water or a sports drink every 15 to 20 minutes during periods of activity. Drinking a sports drink, like Gatorade which is chuck-full of electrolytes, is recommended if you plan on exercising for more than an hour. Refrain from using salt tabs during exercise routines. While many athletes use these tabs as a way to replenish the salt they lose through your sweat, they can easily dry-out your body and cause dehydration. Sports drinks offer an effective solution for replacing the minerals and salt you lose during intensive workouts. Another way to prevent dehydration is by avoid high-protein diets. Foods that are high in protein tend to make you thirstier and soak up a large portion of your body’s water. If you do choose to adhere to a protein rich diet, make sure you are consuming at least 8 to 12 glasses of water every day. Most importantly, always stop working or exercising outdoors if you begin to feel dizzy, lightheaded, or fatigued. It is also a good idea to drink plenty of water if you get a sunburn. 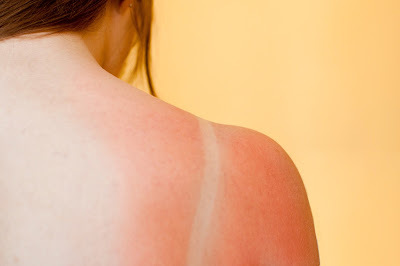 Burns draw fluid to the skin’s surface and away from the rest of the body, so dehydration tends to be very common among sunburned individuals. Treating Skin Damage. Let’s face it, we’ve all been there—you’re spending a relaxing day at the beach and somehow sunscreen didn’t make its way into your beach bag. Now you’re stuck with a lobster-red back that is sore to the touch. Before you panic and start figuring out ways to cover you crimson tan, consider the tips listed below to help you on your path to recovery! Cool showers. When you get a sunburn, heat gets trapped inside your skin. 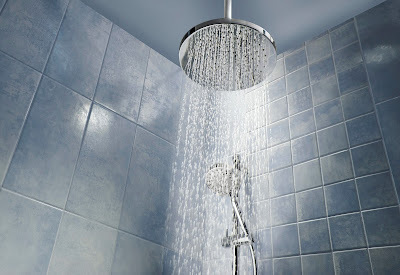 By taking cool showers, you can temporarily lower the temperature of your skin. Not only will the water provide relief from your burn’s stinging sensation, but it may also help the burn heal faster! 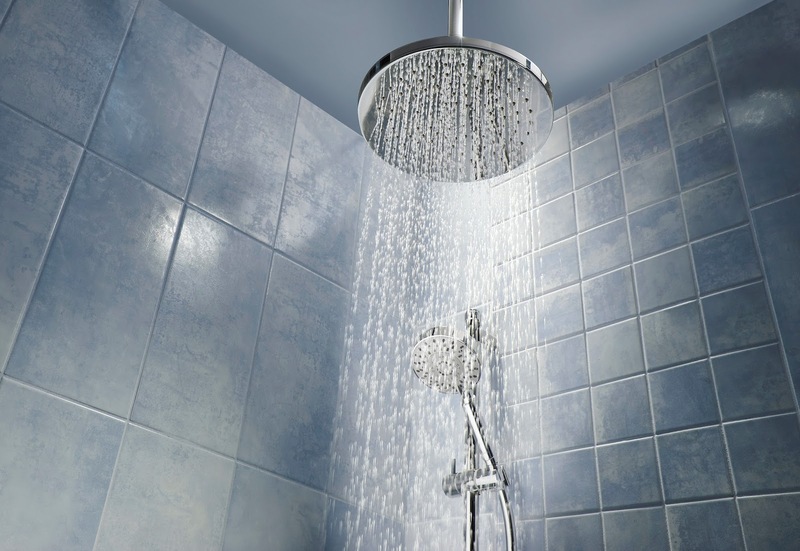 First set your shower to a normal temperature—one that is not too hot, but not too cold. Gradually adjust the temperature lower and lower until you feel comfort and relief. If your sunburn starts to itch, do not continue to take cold showers. In this event, switch back to warm showers. The warm water will help greatly reduce itching. A&D cream. While this multi-purpose ointment is typically used for babies with diaper rash, A&D cream is also a miracle worker for sunburns. This cream is formulated with vitamins A and D and helps soothe the skin from cuts, scrapes, and burns. Not only does this cream prevent your sunburn from itching, but it also provides your skin with the nutrients it needs to recover from the burn quickly. Evenly coat the burned area with the cream and wait until it dries. After it dries completely, re-apply the cream as often as you’d like! Peppermint Oil. Sunburns HURT. Luckily for you, Peppermint oil provides instant relief for even the most painful burns. 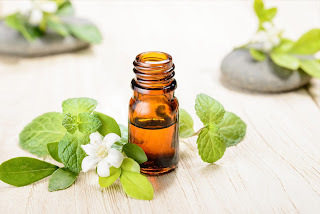 Peppermint oil is an essential oil that can be found at a variety of retailers who regularly sell oil kits, vitamins, or other health-related supplies. To use, simply apply 2 or 3 drops onto the affected area and gently rub it into the skin. Upon completion, you will immediately feel a cool sensation run over your burn, reducing the stinging sensation and allowing you to carry on with your everyday tasks with ease! Take Advil or Ibuprofen. When you first start to feel your sunburn sting, try taking a nonsteroidal anti-inflammatory drug, like ibuprofen or Advil. Taking these drugs will help diminish feelings of discomfort and can greatly reduce skin inflammation. The effects may be subtle, but anti-inflammatory drugs like the ones listed above are guaranteed to offer some form of relief from mild to severe burns. Aloe Vera. If you’ve ever gotten a sunburn the chances are you are well acquainted with Aloe Vera. A popular choice among many sunburned beach bums, Aloe Vera is a cactus plant that grows in dry climates such as those found in Africa and India. These plants have been used medicinally for centuries and are widely recognized for their clear gel that heal wounds and soothe skin. Aloe Vera helps with sunburns through its powerful healing activity at the epithelial level of the skin, which is the layer of cells that cover the body. 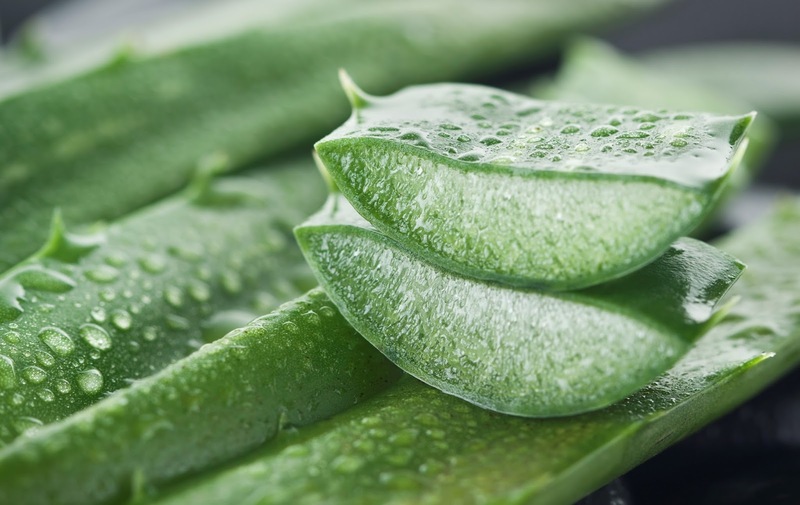 The aloe acts as a protective layer on the skin and helps replenish the moisture it loses when burned. Because of its nutritional and antioxidant properties, this plant extract helps the skin heal quickly and efficiently. Skin protection is vitally important all year-round, but especially in the summer. Make sure to keep all of these tips in mind as you head out on various outdoor activities and expose your skin to the sun’s powerful rays! Have another sure-fire method of preventing skin damage in the summertime? Share your ideas in the comment section below!